The casino is open all through the year except Christmas. It works non-stop throughout, 24 hours a day and 7 days a week, so that players are able to come in whenever they want and play their favorite casino games. The currency accepted at the casino is British Pounds Sterling (£). When it comes to poker there is another thing you must know about Asper casino: it has the largest poker room in all of London. 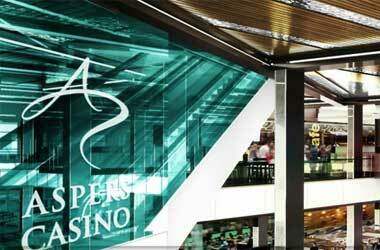 Its poker room has 300 permanent seats for players to fill up. Also, all table games are in play 24 hours a day, 7 days a week. A series of videos in the ‘How to Play’ mode that give you the lowdown on how to go about playing the different games on offer at the casino, including games like blackjack and roulette. To watch these instructional videos all you have to do is visit the casino’s website. A dedicated practice area where you can try out the different games in free play mode. You can play in this area till you are confident enough to proceed to the main area of the casino for real money play. The following are some other aspects of the casino’s security policy.